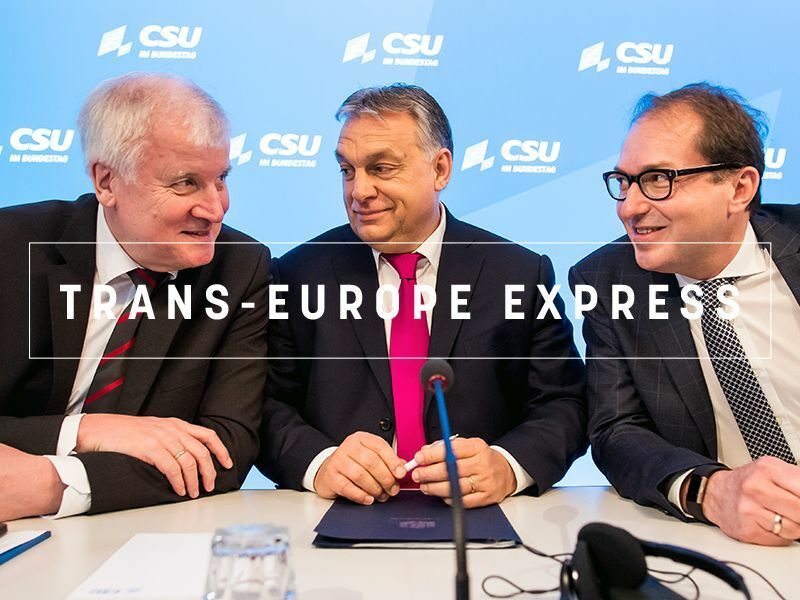 The increasing cooperation between the conservative right-wing and the far-right could be a wake-up-call for democrats, who should create a wide pro-EU alliance, from leftist Alexis Tsipras to centrist Emmanuel Macron, Syriza MEP Dimitris Papadimoulis told EURACTIV.com. “Forget the business as usual,” Papadimoulis, a Vice President of the European Parliament and a close ally of Greek premier Alexis Tsipras, emphasised. “All European democrats should stand from the couch, as happened with the anti-racism rally in Chemnitz, and look for the path of convergence around common goals both on a political and social level,” Papadimoulis said, referring to recent anti-racist demonstrations in the Eastern German city of Chemnitz. 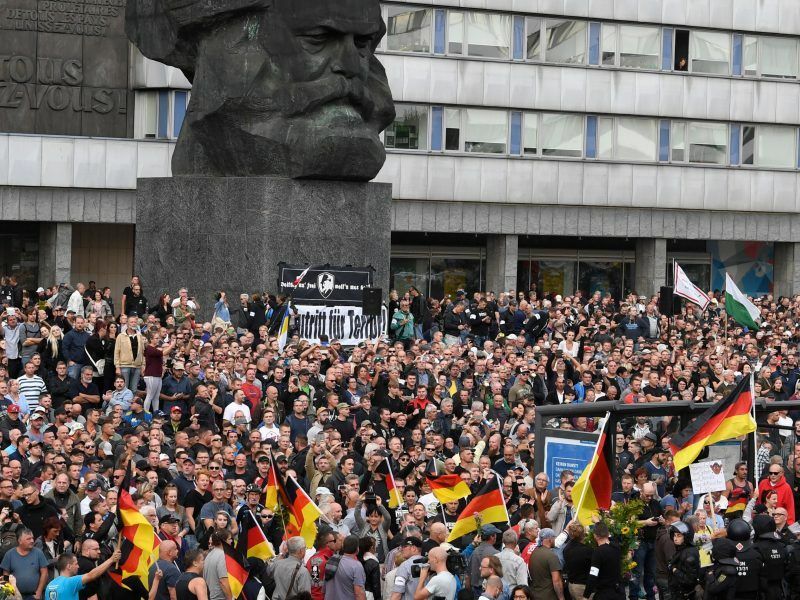 Far-right demonstrators clashed with leftist protesters in the eastern German city of Chemnitz on Monday (27 August) after an Iraqi and a Syrian were arrested over a fatal stabbing that had triggered violent demonstrations. “In terms of democracy, the alliances must be wider, not only with Macron, but also with the Liberal Democrats (ALDE) and the moderates of the European People’s Party (EPP),” he added. The Greek MEP, who is also Vice-President of the European Parliament, noted that EPP Manfred Weber’s candidature for the Presidency of the European Commission indicates an EPP shift to the right, something that does not please centre-right members. He lashed out at Weber, saying that he is not only a good friend of Hungary’s Viktor Orbán, but is also sympathetic to the actions of Italy’s Salvini and open to the ideas of France’s Marine Le Pen. 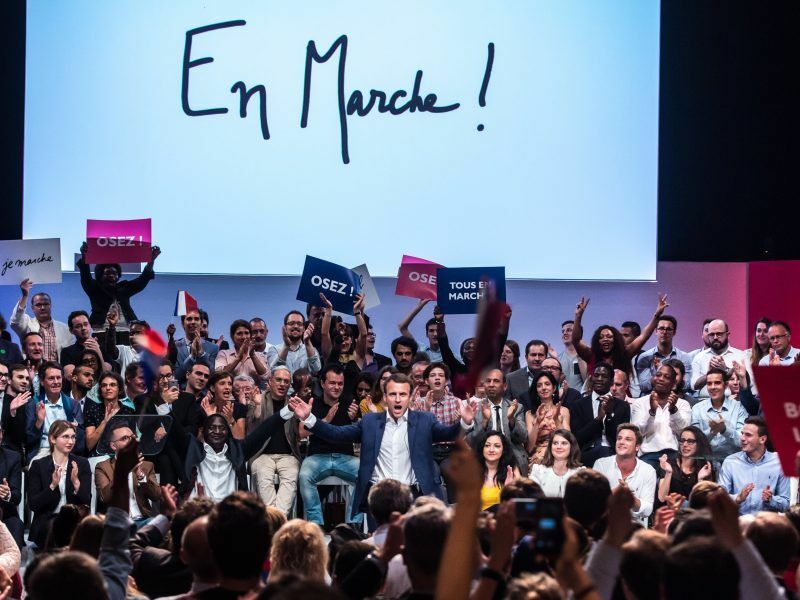 French President Emmanuel Macron wants to shake up the EU political ecosystem, hoping to forge a new progressive alliance at the end of this year for the 2019 European Parliament elections, a source in his office said on Wednesday (5 September). “There is a dangerous momentum that is the joint effort of the extreme-right Europe of Nations and Freedom (ENF) and the far-right within the EPP, to promote EPP’s ‘Orbanisation’ and form a new majority in a Eurosceptic and super-conservative direction,” Papadimoulis added. “Europe experienced the fascist and Nazi drama almost 80 years ago […] but the bell of history hits hard and we would be deaf if we didn’t listen to it,” he added. 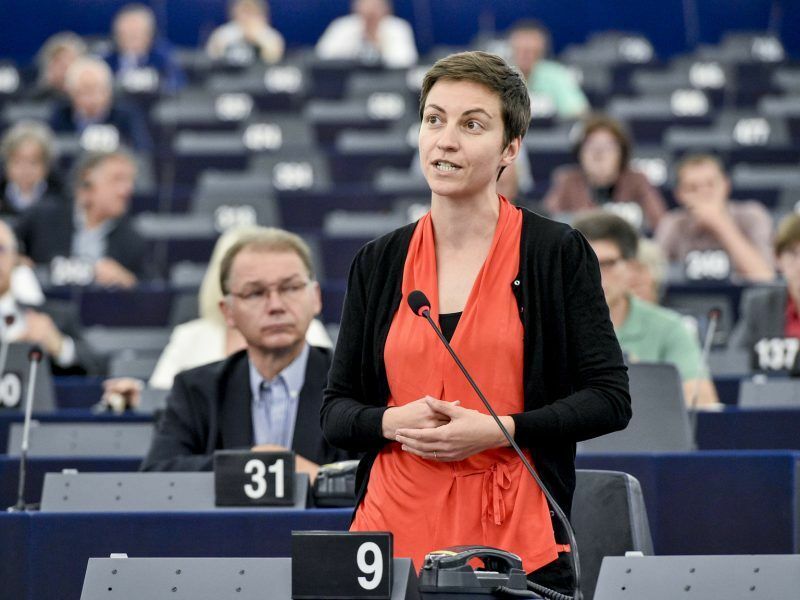 In an exclusive interview, Ska Keller, co-chair of the Greens-EFA group, shared what she expects from next week’s State of the Union speech and the vote on whether to trigger punitive Article 7 measures against Hungary, as well as weighing in on Manfred Weber’s bid to lead the EPP into the EU elections. But when it comes to social issues, such as the push for less austerity and more pro-growth policies, he said that the scope of cooperation could be narrower, focusing on three political families: the Left, the Socialists and the Greens. But in order for this to happen, all these groups need to change. The EU social-democrats need to be “more radical” toward neoliberal policies because their “subordination has created across many countries great defeats and existential dilemmas”. For the leftist parties, he noted that they needed to make their European strategy clearer and open to wider alliances capable of creating winning majorities. Papadimoulis explained that Syriza has strategically been established as the force expressing the voters not only on the left but also on the centre-left. However, the official S&D-affiliated party in Greece is the Pan-Hellenic Socialist Movement (Pasok), whose current leadership has ruled out a future collaboration with Syriza. The leftist politician said Pasok had followed the rhetoric of centre-right opposition New Democracy party, and this will result in disastrous election results for it. 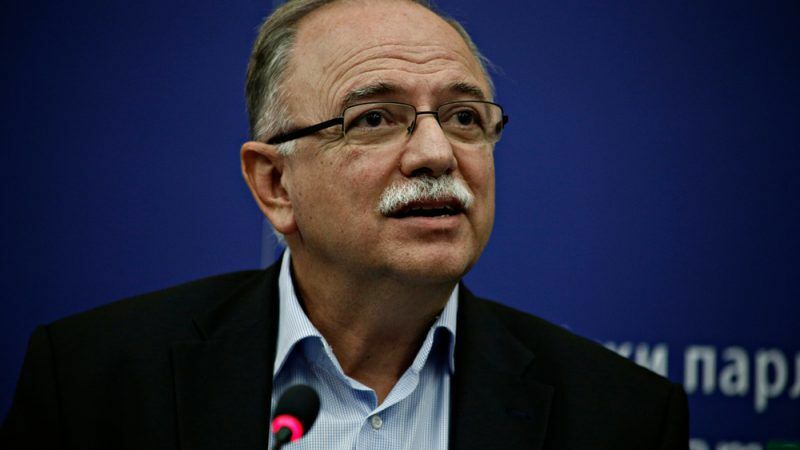 Last week, Papadimoulis met with S&D President Udo Bullmann, and, according to Greek media reports, they agreed to enhance the cooperation of “progressive forces”. In an interview with EURACTIV last May, the S&D chief was tough on Pasok, the historic centre-left force in Greece, which is partly responsible, together with New Democracy, for the Greek economic crisis. 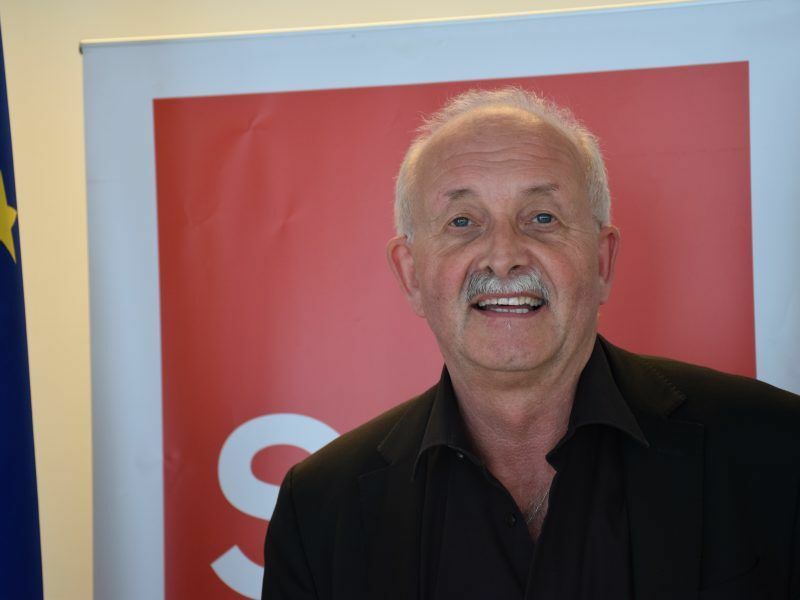 The German Social-Democrat was quite supportive of Syriza, saying that all progressive powers in Greece should join forces to lead the country in the post-crisis era. Pasok went from being the largest party in 2009 with 44% of the vote to 4.7% in 2015. Papadimoulis noted that in the run-up to the EU election, Syriza will be even more open towards the centre-left and the democratic centre. “We believe that the majority on the left, the centre-left and the democratic centre should be expressed both politically and at a government level,” he said.